Robert and Mandy would like to welcome you to the beautiful Broomhouse Farmhouse in Berwick upon Tweed. Shortlisted in the 2017 Eviivo Awards “Hidden Gem”. 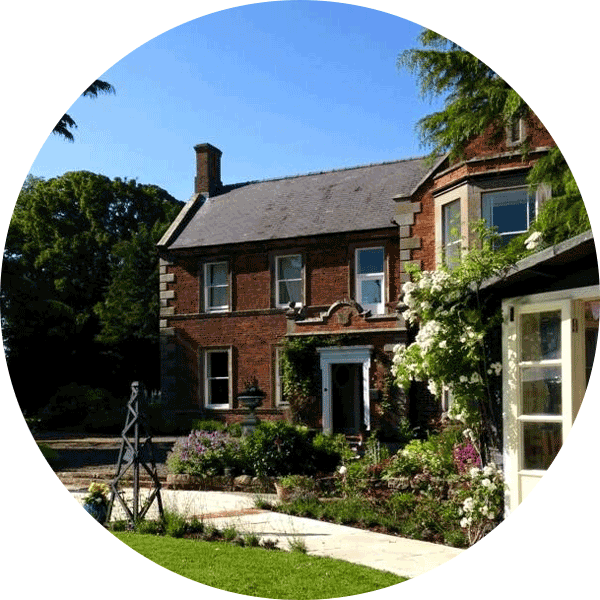 Part of the Ford and Etal Estate, Broomhouse offers beautiful Bed and Breakfast accommodation, holistic retreats, therapies and events in a haven of tranquillity. The perfect place to wind down and relax after a busy day sightseeing, working, playing golf, cycling, the list is endless. 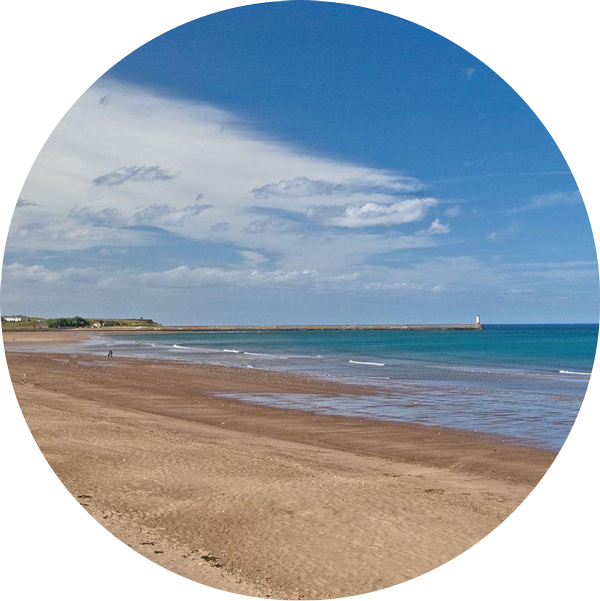 Located just off the A1 in Berwick upon Tweed, Broomhouse is an ideal base to explore North Northumberland and all it has to offer. 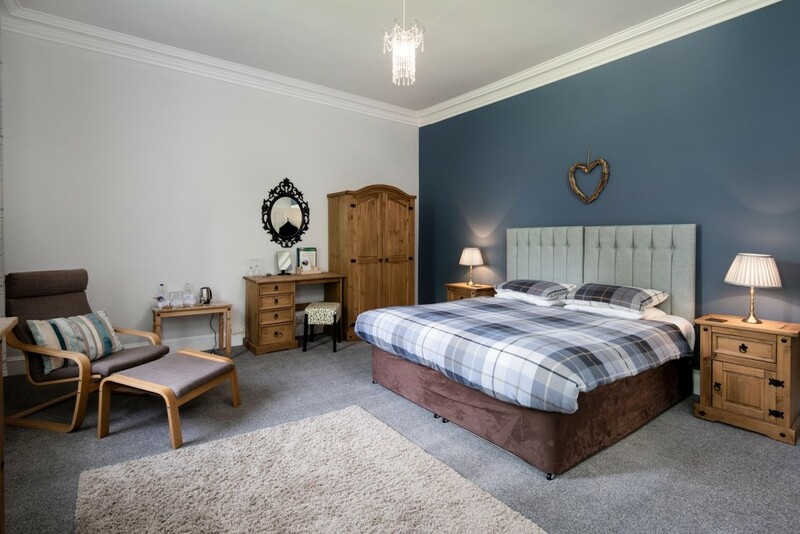 Broomhouse offers get away from it all breaks tailored to you, to include a choice of holistic therapies, such as reiki, hypnosis and meditation space from Amanda Hopper Holistics. 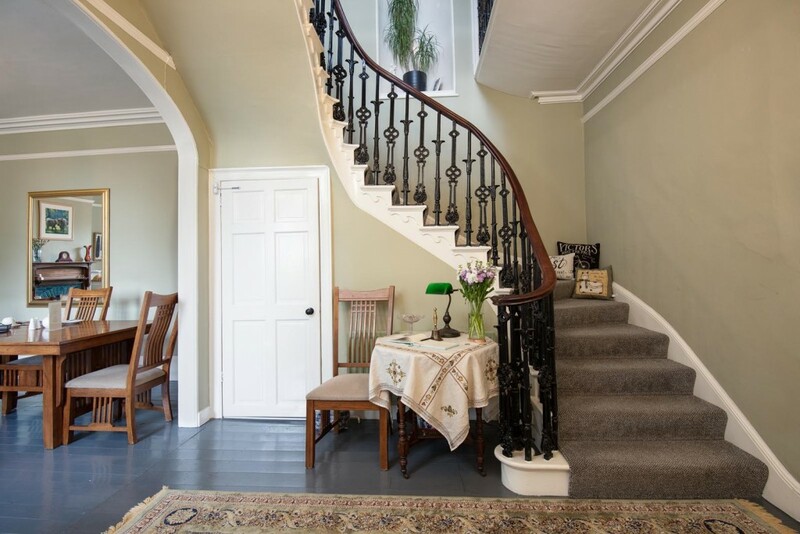 Or perhaps just a quiet corner, a cosy fire, a good book and plenty of tea with no interruptions. Lots of quiet hide aways in the grounds, summer house to sit and just be. 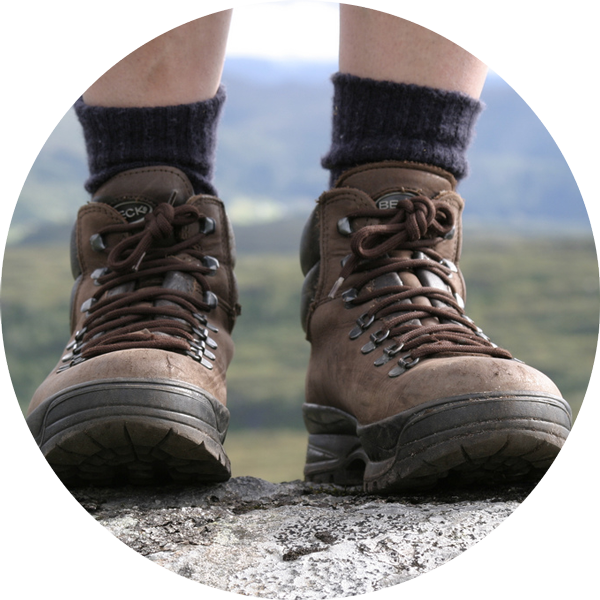 Simply get in touch with your requirements, whether it be a day retreat or a longer break. Take a look at our events page for up and coming days. We offer a traditional cooked breakfast using all local produce where possible, free range eggs from the farm down the road, meat from the quality butchers on the high street. Special dietary requirements can be catered for – just let us know in advance. Fresh fruit, cereals and honey from the garden. Always a warm and friendly welcome to be had and every effort is made to make your stay a great one. 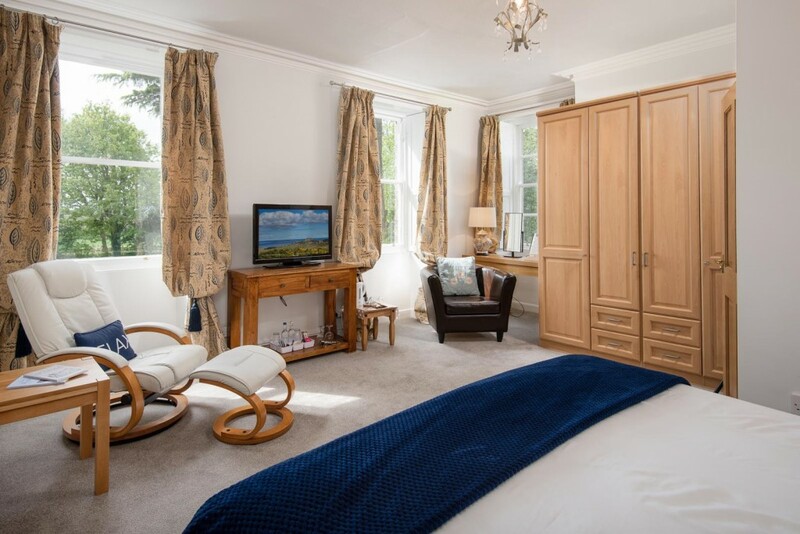 Broomhouse itself, has three rooms to offer guests luxurious surroundings in which to unwind. 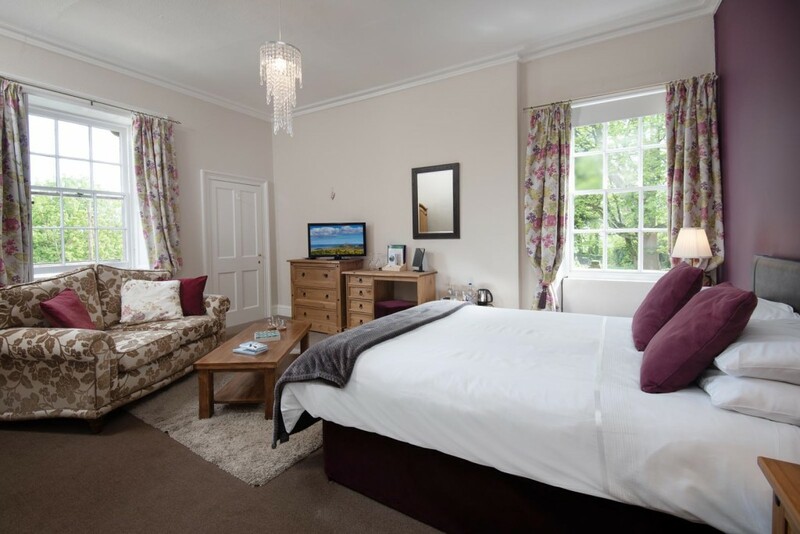 Large bedrooms, king size beds, sofa or chairs, ensuite private adjoining bathrooms or smaller ensuite with walk in shower. 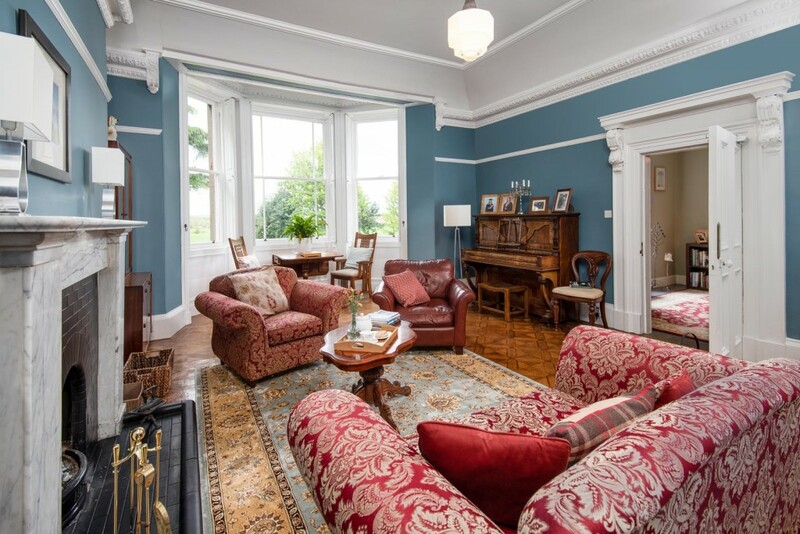 Relax in the grand drawing room, open fire, books, magazines, games, radio plays, or just enjoy the peace and quiet and stunning views. Enjoy the two acres of gardens, a mixture of wild woodlands, to formal lawns. We have beehives looked after by Chain Bridge Honey Farm, so much of the garden is left wild to attract the bees and butterflies. Should you want a bit of shade or shelter from a shower, there are two summer houses to choose from, as well as chairs and benches dotted throughout the garden. A large secluded fire pit, we are happy to light this at your request. Beautiful tasteful manor house set in lush grounds. Original sash windows with shutters, heritage wall colours. Room number 4, very spacious, large wardrobe and ample drawer space. Big thick fluffy white bathsheets and robes. Hospitality tray was good, including Lyons coffee bags. Genius and delish. Large bathroom with shower over bath. Garden view from bedroom. Close to nature surrounded by tall trees, shrubs and plants, and the feeders attracted birds including a woodpecker. We ate a pizza in the Summer House one evening overlooking the lawns. So pleased we visited Lindisfarne and later on watched tide came in along causeway. Still more we didn’t get to visit so look forward to next time. The location is 300 yards approx. from the A1, however the setting is so quiet and peaceful, standing in its large gardens, there is NO road noise. We stayed 4 nights, from the 7th August, could have stayed longer and still found plenty more places within easy distance to visit. The house is a LARGE Georgian manor house, with Large rooms, and very well furnished, and spotlessly clean. Large bed, shower above bath, plenty of hot water, Big lounge at visitors disposal. Parking NO problem, just at side of house. Its was a pleasure to walk round the gardens, with 2 summerhouses and seating areas. Our hosts were Mandy & Bob, Very very helpful and with plenty of information regarding the area, especially places to eat on an evening. Breakfast, this we found to our liking it was serve yourself continental, with a good selection, from 7.30 am to about 10.00am. Weekends we were told it was Full English. We would both highly recommend Broomhouse Farm, for a one night stop for passing through, or more to really have a good look at the area. Thank you for a relaxing, peaceful stay, we loved you, our chats and your fur babies! With so much to do, see and visit in the local area, deciding exactly what to take in can be difficult with all that choice. Below are just a few suggestions but as mentioned, if you have any special requests or need assistance, let us know and we’ll do all we can to assist. 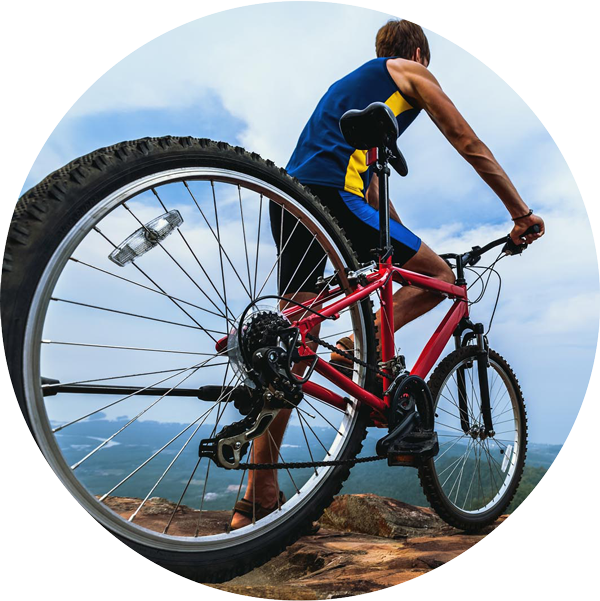 There are numerous activities close to Broomhouse, including Golf, Horse Riding and Cycling – the following links will provide further details of these but please feel free to ask us anything about activities in the local area and we will be more than happy to assist. 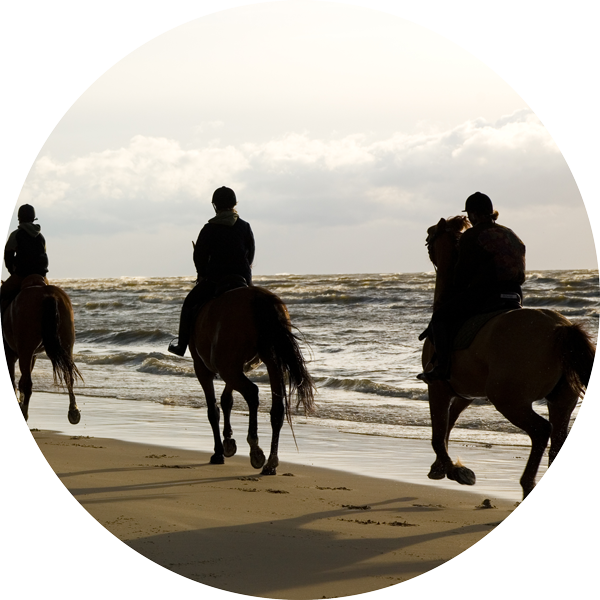 Horse riding – Available at Haggerston Riding Centre and catering for beginner through to advanced riders. 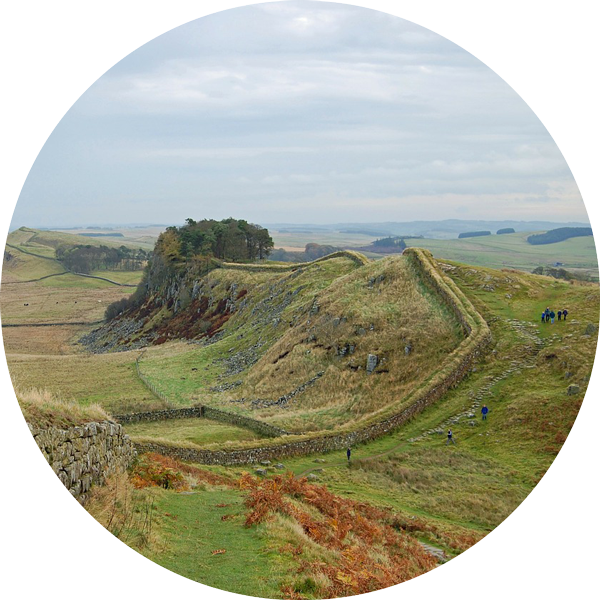 Cycling – Both road and off-road cycling are on our doorstep with great rides offering superb views – see Cycle Northumberland or Visit Berwick Cycling for further details. 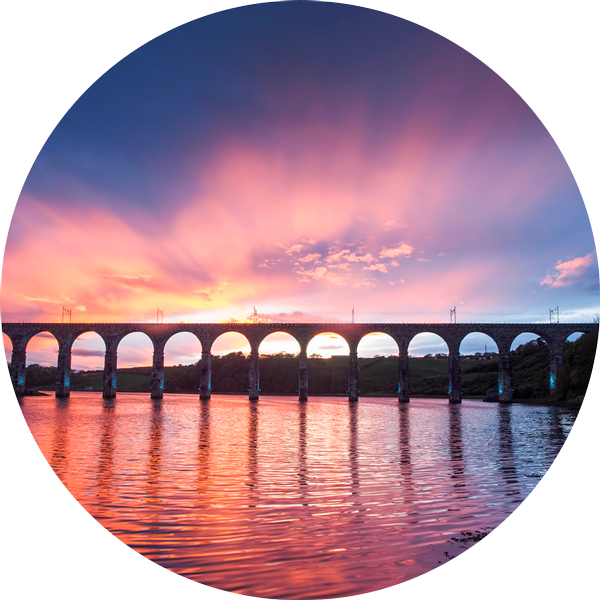 Broomhouse is ideally located for some amazing sight-seeing on our doorstep, and with so many options to choose from, it can be difficult to decide. 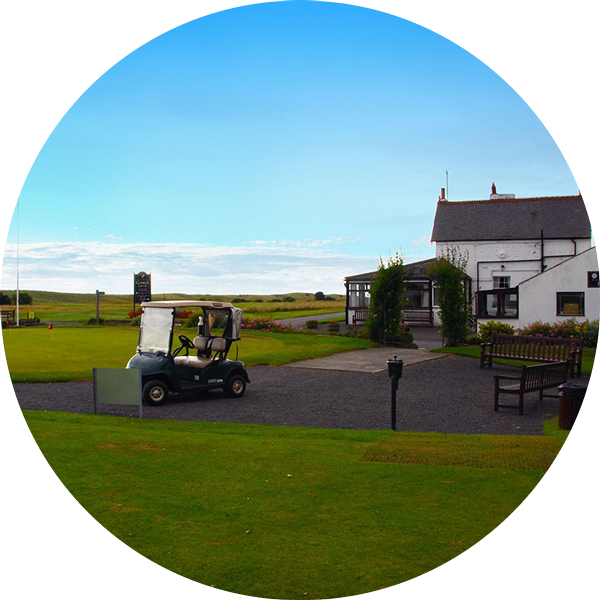 So whether you like wild open spaces, beaches or castles, you’ll be sure to find something very close to our location. From the Holy Island of Lindesfarne, the stunning Berwick upon Tweed Beaches to Berwick Castle, there are areas to suit all tastes. Also in the vicinity is Bamburgh Castle and another stunning beach, or head further afield and take a trip to the Farne Islands. Use the links in this section as a starter for ten, but feel free to ask us about many other options and locations worth a visit. 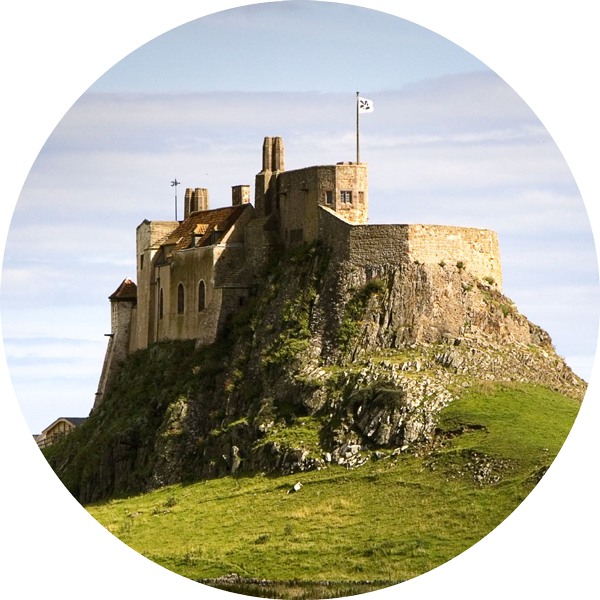 Important – Check the Holy Island Crossing Times and plan your visit – don’t get caught out!! 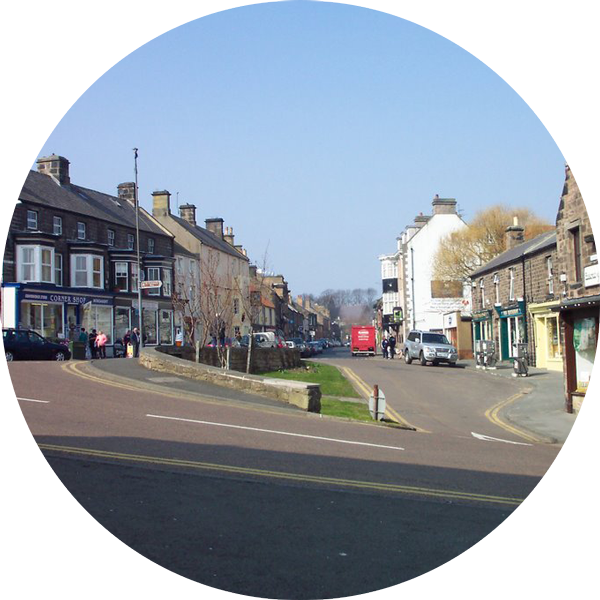 Northumberland offers a wide variety of towns and villages to visit and caters for all tastes as they all have a distinct feel and character of their own. From picture post-card villages to large towns and cities within easy reach, you are never far away from a location to suit all tastes. 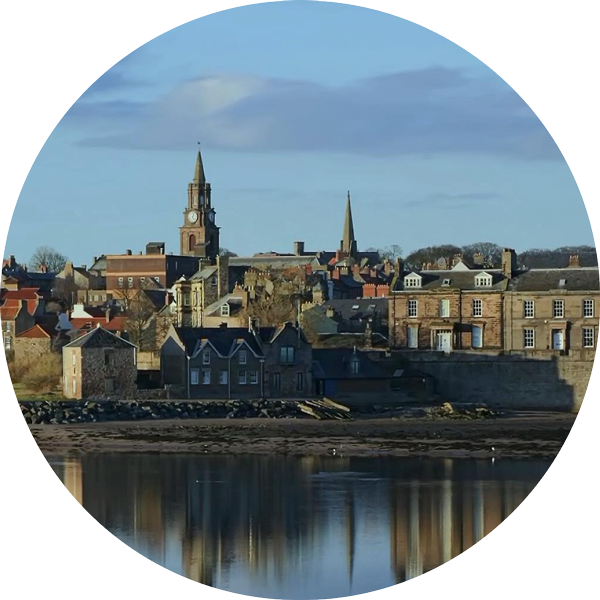 Why not try the walled town of Berwick, with some beautiful city walks, the Lowry Trail and many shops and cafe’s to explore? 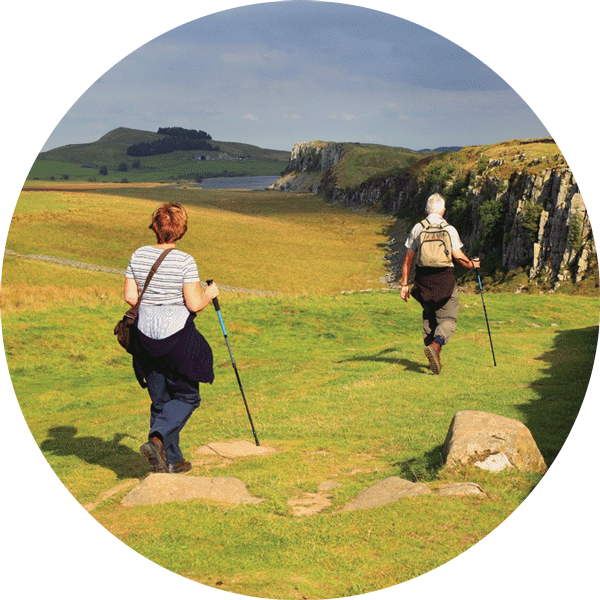 Or travel inland to Wooler, a small market town and gateway to the Cheviots and many wonderful walks, Ingram Valley, and part of Cuthbert’s way. 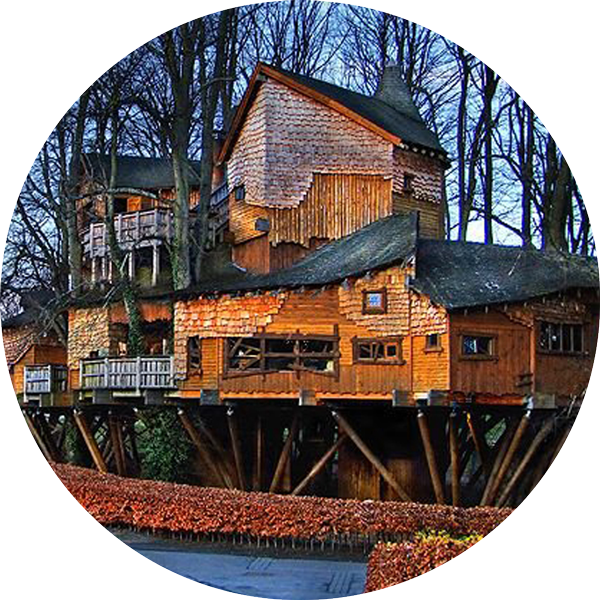 Or maybe try Alnwick (make sure you pronounce it right – “Anick”) famous for it’s treehouse, fabulous gardens and of course Harry Potter as well as a beautiful market town. Travelling North up the A1 we are on the right 1 mile from Haggerston Caravan Park. We are just a farm drive and not signposted, though there is a small Broomhouse sign you wont see it until you are nearly ready to turn please take care and give plenty of notice as this is a busy road. Travelling South down the A1, having left Berwick upon Tweed we are on the left 1 mile from The Island View Inn. At the large tourist sign for Haggerston Picnic area start indicating left and slowing down, We are just a farm drive and not signposted, though there is a small Broomhouse sign you wont see it until you are nearly ready to turn please take care and give plenty of notice as this is a busy road. Continue along the Farm drive for just a minute and you will see our gates and driveway, parking is to the side of the house. If you have any questions or just want to say Hello, use the form below and we’ll get back to you as soon as possible.